In today’s roundup, we have the theatre paying tribute to a poet, the Melbourne Spoken Word and Poetry Festival, A musical tribute to Leonard Cohen and the poet who lost her home to a fire. The Anton Podbevšek Theatre which is situated in Novo Mesto, Slovenia saw the opening of a theatre production that pays tribute to Srečko Kosovel, the iconic Slovenian modernist poet. The biographical and philosophical drama “Cons” opened on 10thApril. Born in 1904, Kosovel died in 1926 at the age of just 22. Despite his incredibly short life, he was responsible for creating his own specific genre of poetry and it is this that will be celebrated with the drama. Cons forms part of this year’s season of programmes at the theatre all of which are dedicated to great and fractious personalities. 17thMay will see the beginning of the inaugural Spoken Word and Poetry Festival in Melbourne. The festival is due to run for 18 days, ending on 3rdJune, and will feature a total of 74 poets who will take part in 36 events. 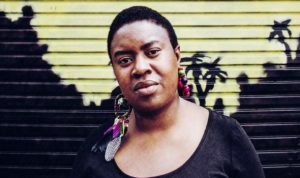 Both nationally and internationally recognised poets will be taking part in the festival, including US poet Moody Black, who will be headlining the closing night and Maxine Beneba Clarke who will be performing on the opening night. The wide variety of events will be hosted by a range of organisations, and Slamalamadingdong will be hosting the 2018 Grand Slam, this will decide who will be the members of the National Poetry Slam team who will travel to the US in August. Events will take place at a number of locations all over Melbourne. There will be four workshops that will take place in Brunswick at Siteworks. These will cover a variety of topics including producing a performance poetry piece, auto-biographical poetry and physical performances. Moody Black will be hosting his own workshop, on topics that he has previously presented at a number of colleges in the US. 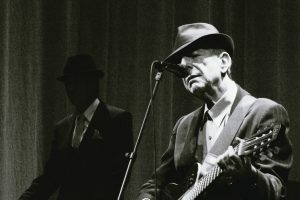 This week the Society of the Muse of the Southwest (SAMOS) paid tribute to the award-winning poet, musician and novelist Leonard Cohen. A group of Taos musicians, actors and poets gathered at the Taos Art Museum in the Fechin Studio for a reading of Cohen’s work that included poetry and music. Cohen released his first album at the age of 33 years in 1967, prior to this he was best known as a poet and a novelist. He passed away in 2016 and his loss has been mourned by fans of both his music and writing since with many tributes taking place all over the world. In Pampano Beach, Florida a world-renowned slam poet Eccentrich Johnson and her family found themselves homeless after a fire claimed their home. Johnson her family, including a 3-week-old baby, were woken in the night by loud banging on their door and calls for them to get out of the house. At first, they did not realise it was on fire. Fortunately, nobody was injured in the blaze. Johnson says that the incident may form the basis for a poem in the not too distant future.